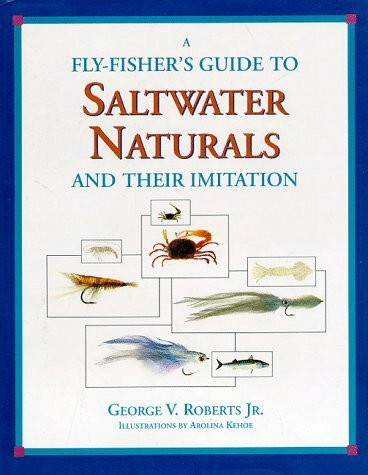 Book-FlyFishers Guide to SaltWater Naturals by George Roberts, All gamefishes, from striped bass to sharks, have their preferred prey and undergo periods of selective feeding. Flail the salt long enough and you'll meet feeding fish indifferent to our offerings. That's when a knowledge of selective feeding and of the fish's desired prey become critical to success. This book is the first to address this subject. 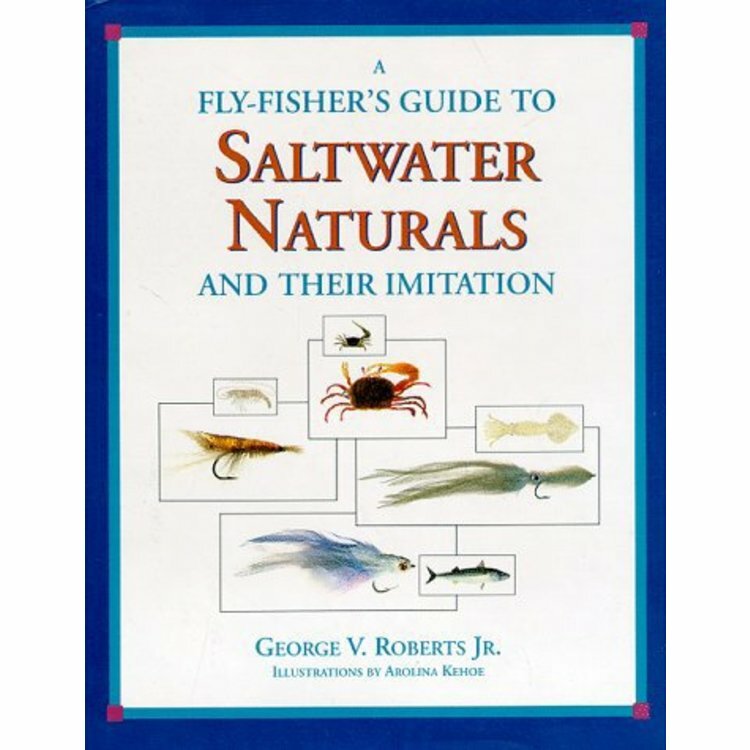 Part One is a scholarly yet accessible study of gamefish behavior, including prey recognition, foraging strategies, and the psychology of selective feeding. Part Two details the life histories of forage species--fishes, squids, crustacea, and marine worms. Major species are depicted in more than 50 color paintings, of great value to anglers who wish to dress accurate imitations. 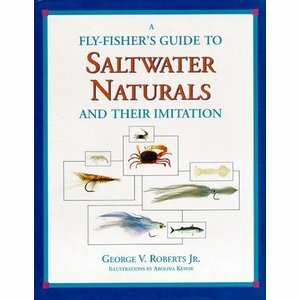 Part Three is a directory of imitative fly patterns--88 flies depicted in full color, most dressed by their originators. 163 page hardcover edition. 7.5 x 9,5 inch format.